Tables will be of varying sizes. 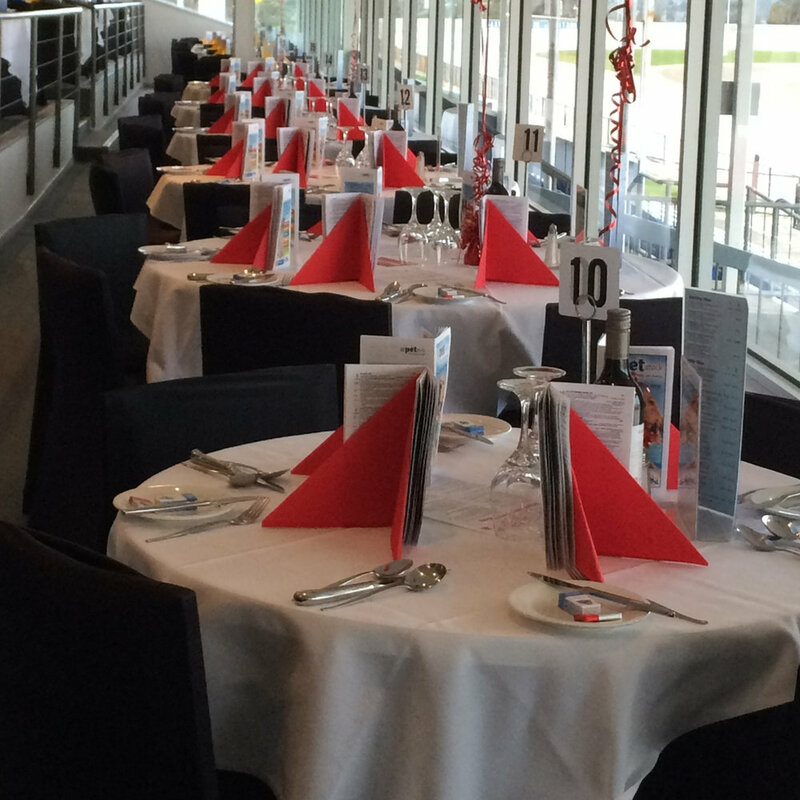 Situated at the top of the grandstand, Level 1 and 2 in the Terrace Restaurant offers breathtaking panoramic views, making it an elegant and enticing dining option. Tables will be of varying sizes and viewing. 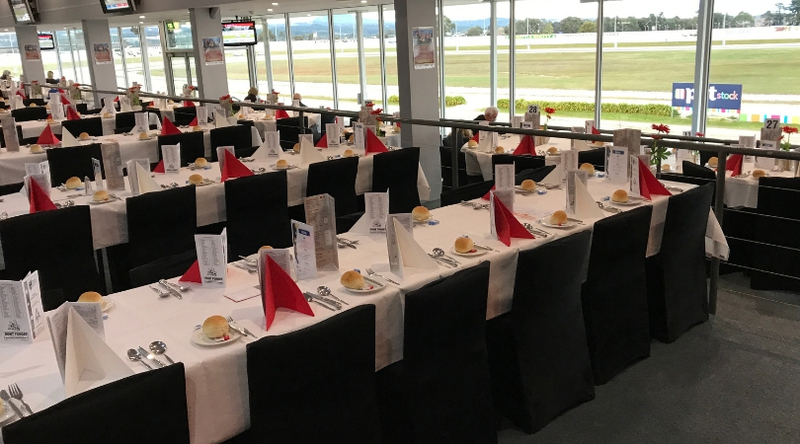 Situated at the top of the grandstand, level 3 of the Terrace Restaurant offers panoramic views across the track, making it an enticing dining option for larger groups. Tables will be of varying sizes, some tables will be shared tables and viewing. Located next to the track and offering views of the finish post, the Draught Room & CUB Beer Garden offers guests a more casual feel while being part of the racing atmosphere. Serving street inspired food from 6pm to 9pm, your pre purchased ticket covers admission, complimentary drink and a $10 food street voucher.